It was supposed to be a quick trip to Walmart. My son needed some things for his science project, so I threw on my shoes and said I’d be back in a few minutes. I looked on the counter, and sure enough there was a piece of paper with â€œScotch Tapeâ€ and â€œMechanical pencil erasersâ€ written on it. I folded up the piece of paper and put in my pocket. No big deal. On my way to the store my phone rang. Apparently my son had a cold sore and would like some over the counter medication. I hung up, and at the next red stop light I pulled out the piece of paper and added the item to the list. While I was walking through the store collecting the handful of items my phone rang again. My wife had tried a new kind of shampoo and conditioner while out of town with her mom last weekend and wanted me to pick some up for her. â€œAre you out?â€ I asked. Translation: It doesn’t matter if I’m out or not, just get it. I stood in Walmart’s hair care isle, phone stuck to my ear as she tried to describe the product she wanted. After a few minutes I located the desired products and put them in the cart. Just my luck, they didn’t have the regular size, so I had to purchase the larger size hoping that she liked the product enough to use it for awhile. Finally heading to the checkout counter, my phone buzzed with an incoming text message. Detour to the produce section to pick up some apples, then to the freezer section for some whipped topping. I thought I had the rest of the needed ingredients at home. Well, I hoped I had them anyway. The two items with the ‘*’ next to them are the items I was originally going to the store to purchase. I went from getting 2 items for $8.52 to getting 9 items for $33.62. These middle of the week trips to the store are outside our normal grocery shopping budget, so the money spent usually comes out of the funds for the following weekend. They circumvent our normal need analysis and list process that ensures we stay on budget. What I’ve finally learned is that we need a budget bucket for these sort of trips. 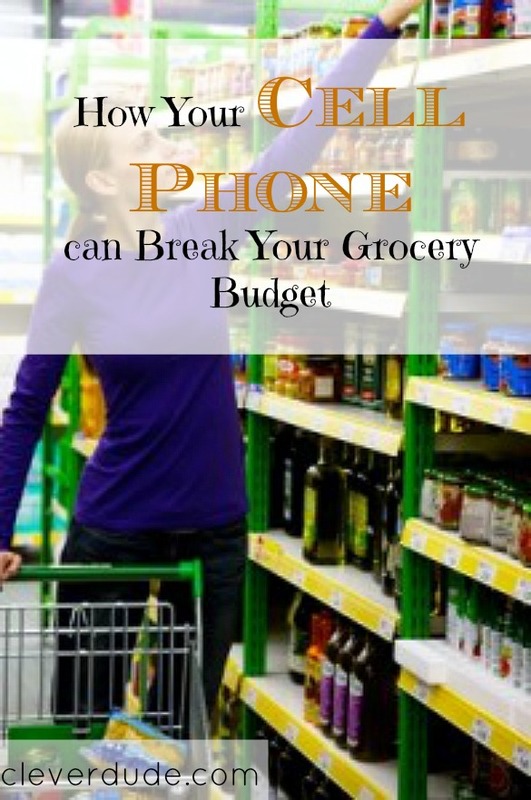 Then, if we need to make a run to the store, we need to discuss what else we need and make sure we stay within the confines of the allocated amount. Most of all, I need to learn to not answer my phone while at the store. How do you handle middle of the week trips to the store? Have you ever been at either end of a series of phone calls as described in this post? Groceries are our (my) biggest weakness. My dad worked in the grocery business and I did for 8 years. I prefer to shop 4-5 days per week as i would just eat everything otherwise. Things like the cold sore medicine might have had to be a second trip had you not answered the phone. 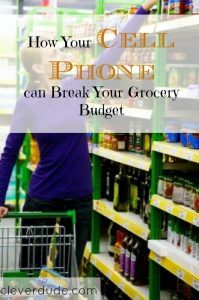 My only suggestion is to continue allocating your grocery budget and each time someone calls you and says, “Hey, pick up ABC product,” you give them the unfortunate guilt trip about whatever else that will need to be sacrificed later on. My wife won’t let me come shopping for groceries because she says that I always find things to add that aren’t on the list. She’s much better about sticking to the list at the grocery store than I. The strange thing is that when we go to Costco, it’s the total opposite. I think the reason why is that I make the Costco list, and she makes the grocery list, so maybe the listmaker is the one who is most likely to try to stick to it. @theWarrior – yeah, the “don’t answer your phone” was sort of tongue in cheek…I’d get in BIG trouble if I didn’t answer my phone. I’ve gone weeks where we grocery shop every day (because we didn’t have time to do one big grocery shopping trip) and it drives my family crazy because there’s never any extra things to snack on….but I guess that’s one way to make sure you don’t shovel too much into the pie hole – which I’m known to do as well. LOL. Thanks for the comment! I don’t have a cell phone so that part is not an issue for me. 🙂 But my husband doesn’t shop with me because he likes to browse and get all kinds of extras, and for me, if it’s not on the list, it doesn’t go in the cart. I always tend to add extra items which are not in list. Its hard for me to buy new food product. My wife is opposite. She always sticks to list. I know the feeling Brock. The same thing has happened to me lots of times when I only went to buy one or two things. I now try and avoid the supermarket until it is time for our weekly trip. @KevinWatts – It’s hard for me to try new things too…which is why actually I stick to the list so easily. because it’s hard to put something on the list that’s new. My wife on the otherhand says this fairly often : “Oooh, that looks good….” 🙂 Thanks for reading! @robert – that’s my goal as well….go *exactly* once a week. Unfortunately, as noted in the post, it doesn’t always work that way. Although to be honest with you, the supplies my son needed for his science project were known for quite some time, and I just procrastinated!